The event demonstrates the importance of EOSC for the advancement of research in Europe and introduces the new EOSC Portal. The EOSC Portal provides access to data, services and resources. It is a source of up-to-date information about the EOSC initiative, including best practices, governance and user stories. The launch event features live demonstrations to showcase how researchers can interact with and benefit from the functionalities of the portal. The demonstrators, presented live and at the demo booth, cover a wide range of disciplines and user scenarios to show the many different user journeys through the portal. The scientific demonstrations are complemented with the presentation of the newly appointed EOSC Executive Board. The EOSC Portal is the first step towards the EOSC implementation, putting into practice the European Commission’s vision for Open Science. It brings convergence to a fragmented research ecosystem and fosters FAIR rules of participation. The portal is a universal entry point to the services, data and resources that researchers need to perform their science in a collaborative, open and cost-efficient way for the benefit of society and the public. 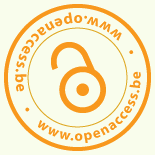 Next Next post: OpenAIRE Workshop on ‘Research policy monitoring in the era of Open Science and Big Data’ announced in Ghent.